Songs After shopping all weekend with my son for his back-to-school wardrobe and supplies, I must share that I was a frazzled mess. Having to deal with the swarms of shoppers and the crowded parking lots. Waiting for what seemed like forever to find a free parking space. Well, it was not very pleasant at all. So, when we were finally done and back in the car to go home, I put my car radio on and told my son, “Please, play some David Archuleta, I need to find some peace!” He complied and put my iPod on. He carefully selected David Archuleta and hit the ‘Play’ button. Ahhh, the music was exactly what I needed! It soothed my headache and calmed my frayed nerves. 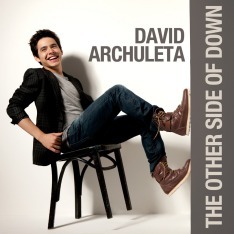 David Archuleta’s voice has the ability to lull me to a peaceful place. His voice is a tonic for my soul. As I was listening to the song that came on, I felt the words and David’s beautiful voice slowly put me back together. The song playing was one from his days on American Idol. It was a song that he chose for one of the “Beatles’ Weeks.” Actually, it was the second round of Beatles’ music for the American Idol contestants. The first week, many who watched Idol will remember, David had a difficult time singing “We Can Work It Out.” With problems—strep throat, staircase choreography, and a disco beat—it was not his best performance on the show. As a matter of fact, he forgot the words and the judges were very harsh on him. However, David Archuleta used it as a learning experience and came back the next week to prove to the judges, and I think himself, that he could sing a Beatles’ song. He not only sang the song beautifully, he nailed it! So without further ado, the song for this week is…. “The Long and Winding Road” was written by Paul McCartney and produced by George Martin for Apple Records in 1969. It appeared on The Beatles’ album Let It Be. It is a rock ballad that Paul McCartney said was inspired by the increasing tension among his fellow band mates. It would be the last #1 song for The Beatles as a group in May 1970. The song also went platinum. In a move that angered Paul McCartney, it was reproduced by Phil Spector in April 1970. McCartney reportedly did not like Spector’s remixed version. On American Idol David Archuleta performed “The Long and Winding Road.” It aired live on March 18, 2008 during the Top 11 show. Many have said it was a ‘master class’ performance. David’s version of TLAWR leaves me teary. I’ll always remember what Paula said about the performance “revealing (his) character” after the unfortunate lyric blunder the week before. Thanks for bringing this one back. It’d be a treat to hear him sing it again sometime. Katie! The Long and Winding Road…ahhhh now that was a heart stopping performance. As a lifelong fan of Sir Paul I was a little worried for David….but hand to heart…David’s version is my forever favorite now. David’s voice does bring us peace from the hectic days and the sometimes sleepless nights. I am glad that he helped you through your shopping trip Katie. And I am glad that you were inspired to write this blog. I enjoyed it very much! As many critics stated on David’s “We Can Work It Out” performance, at least he hummed on key. Which is more than most of them did. As for Long and Winding Road it showed how strong David is and his professionalism. He came back with a “Masterclass” performance and blew us away! Bravo David! You were and are a class act!! “Dang it!” Was that the first time we heard that one? And the outstretched right hand — gosh, I miss that ! I was speechless the night I heard David sing “The Long and Winding Road” — and I’ll never forget his winsome smile at the end. Hey Katie, your choice of Song of the Week is so appropriate since you & your son were on a road. His songs have “put me back together” many times! I have come to rely on them.